One of the key aspects of the remarkable rise of the Cutlass was its ability to keep morphing into something more…one size bigger, and bigger again, then smaller, and smaller again. 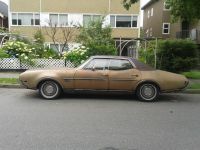 The Cutlass eventually rose to the top of the charts in the seventies because it surfed that mega-mid-sized affordable-luxury coupe wave that swept America in the seventies and eighties. Ironically, the Cutlass didn’t play a leading role in creating that wave, but it sure knew how to ride the tube. And it all started with the 1964-1965 Cutlass, the first big step into its successful future. The Y-Body compacts of the 1960-1963 era (the Corvair lasted a bit longer, of course) were a one of GM’s rather typical swings between its two personality sides: bold pioneer of new technology and pragmatic, rationalizing, bean-counting profit squeezer. The endless stubbing of its toes in pioneering new tech that almost never arrive quite fully baked makes GM’s history endlessly fascinating and the fodder for Deadly Sins. The Y-Bodies undoubtedly never made any substantial (if any at all) profit for GM, and rather than forge ahead with their unibodies, aluminum V8’s, turbo-charging, rear transaxles, and other technical delights, GM decided to give them all the grand heave-ho for 1964. No more of that Euro-style high-tech stuff; until the next big experiment that is (FWD X-bodies). Once again, GM had been snookered by Ford, as was so common in the late-fifties to mid-sixties era. Ford’s utterly pragmatic 1962 Fairlane not only was the first Big-Three intermediate, it was also cheap to build, being essentially a stretched Falcon. GM saw the (black ink) light, and the 1964 intermediate range would be the General’s first but not last giant wave of rationalization. The sizzle was going to be more important than the steak from here on out. GM’s all-new 1964 A-Body mid-size range not only grew in stature, but also now rode on a separate 115′ wheelbase frame (BOF). Now that was an interesting choice, given where Ford and Chrysler were going at the time. Presumably GM felt that it allowed these intermediates to achieve a level of sound and vibration isolation at a price that was less than trying to accomplish the same goals with a unibody. Ultimately, it was a prescient move too, given the direction these cars evolved. As their luxury aspect increased, the inherent advantages of isolation was a substantial aspect of their success. Ford joined the BOF party with their intermediates in 1972, and Chrysler just had to make do with its unibodies, for better or for worse; mostly the latter. And it certainly gave GM lots of flexibility with wheelbase lengths and body proportions, in the coming personal coupes and the Vista wagons. Of course, the big story of the ’64 A-Bodies was the Chevrolet Chevelle/Malibu and the Pontiac Tempest/LeMans, a one-two punch that quickly relegated the Fairlane to also-ran status by 1965, after a strong start in ’62-’63. That left the Olds F-85/Cutlass and Buick Special/Skylark pretty much without any meaningful mid-price level competition, since Chrysler’s shrunken “plucked chicken” cars were still considered full-sized, at least until 1965. Mercury? The poorly selling intermediate Meteor disappeared in 1964, while a somewhat bigger Comet did reasonably well until 1965, when it too was swamped by the GM A-Bodies. So unlike with the Mustang, Ford’s pioneering intermediate Fairlane was not able to secure a lasting beachhead. GM’s wave of these ’64 A-Bodies was essentially the end of Ford’s string of end-runs, and would power the General to dominance in not only the mid-size market, but to the top of the whole market. And that’s where the Cutlass story really begins…albeit modestly, in 1964. The F-85 and Cutlass were the weakest selling of the A-Bodies, which pretty much reflected Olds’ stature in the sales pecking order at the time. Obviously, styling is largely subjective, but I it seems pretty apparent that the Olds studio was the most conservative and least imaginative of the bunch. Not bad; clean, simple, angular; just not very inspired. For 1965, the front and rear ends received a bit more style, reflecting the new ’65 full-sized cars. Of course Pontiac was on a tear then, and the Tempest/LeMans was a major beneficiary, especially with the stacked-headlights 1965 (CC here). And the Buick Special/Skylark certainly had more flair, with its sculptured rear end and a bit more dynamic front end. These A-Bodies allowed for very little leeway among the divisions, but the Olds version comes off as the most generic, along with the cheaper Chevelle/Malibu. I know there are plenty of fans of these cars, and there is a distinctly business-like atmosphere that works well, like the very stealthy early 442. That was originally a performance package available on all non-wagon F85s and Cutlass models, including this police-oriented four door, with red-wall tires, no less. Sorry, but we’re not going to spend much time talking about 442s here, as we did that pretty thoroughly in the 1968 442 CC. But I never get tired of that ad, despite it looking more like it’s from 1954 than 1964. Quite the contrast to Pontiac’s ’64GTO ad campaign. What we will talk about is the evolution of the Cutlass’ role in relationship to its F-85 progenitor. In the 1961-1963 models, the Cutlass was strictly the top-line coupe and convertible version, whose sales were good, but never exceeded the pedestrian F-85 four door sedan’s. That changed in 1964, and quite dramatically so. 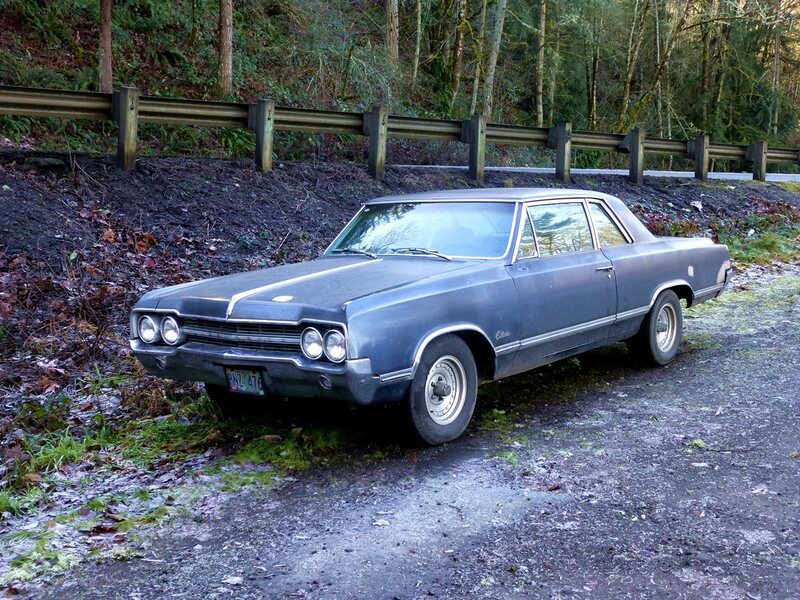 The Holiday two-door hardtop (Laurence Jones’ write up here) was now the biggest seller in the line, foreshadowing the emergence of the Cutlass coupe’s future dominance. Oddly, in 1964 wagons were available in the Cutlass trim, but no four door sedans, yet. Olds would shuffle the F-85/Cutlass mix a few more times, until the F-85 petered out all together. By 1967, the F-85 was becoming an increasingly minor player, and the last ones, all 3,789 of them were sold in 1972. 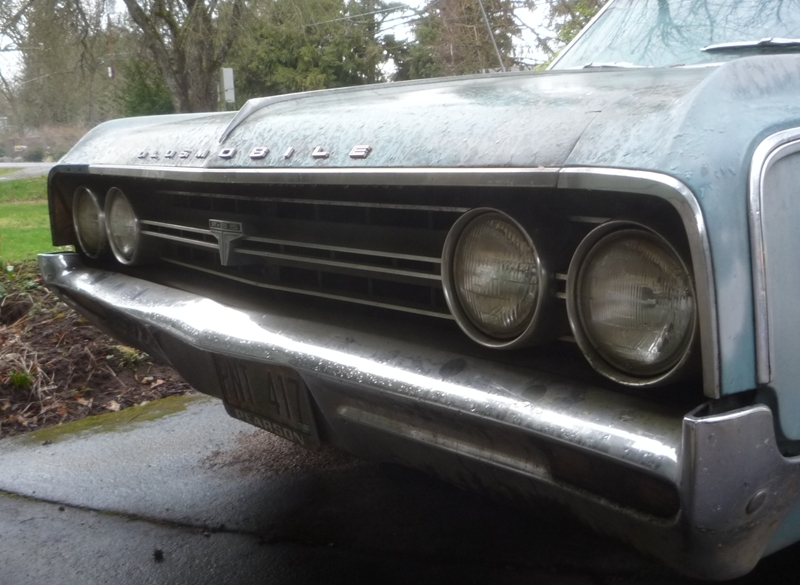 What about the ’64 – ’65 cars, regardless of trim level? The big news other than that new BOF A-Body was under the hood. The aluminum V8 was packed off to Rover, and each of the divisions was left to adapt or create their V8 engines. In 1964, Oldsmobile’s V8 engines appeared in their new gen2 form, in both low and high deck versions, but otherwise sharing the same bore centers and other key dimensions to allow them to share the same transfer line. The low-deck engine started with 330 CID (5.4 L), bumping up to the that common GM 350 CID (5.7 L) size in 1968. Olds had a reputation for building as high quality engine as anyone, and the gen2 carried that tradition forward, through 1976, anyway. In typical fashion, name debasement was at work here too. The turbocharged Jetfire’s name now graced these 330 CID engines. Beefy (but not overly heavy) blocks cast with a high nickel-content, forged crankshafts, excellent heads that had a unique combustion chamber which allowed this engine to outlast most in the ever-tightening emissions era, and just all-round goodness; it’s hard to find beefs about Olds engines of this vintage. The F-85 also came in a six cylinder version, the 225 CID (3.7 L) 90 degree Buick V6. To the best of my knowledge, that was truly a Buick engine, unlike the aluminum V8, which had Olds-specific modifications. If so, this is an historic first, the true beginning of cross-divisional use of engines, not counting the minute number of Buick aluminum V8s that found their way into the ’61 and ’62 Le Mans. 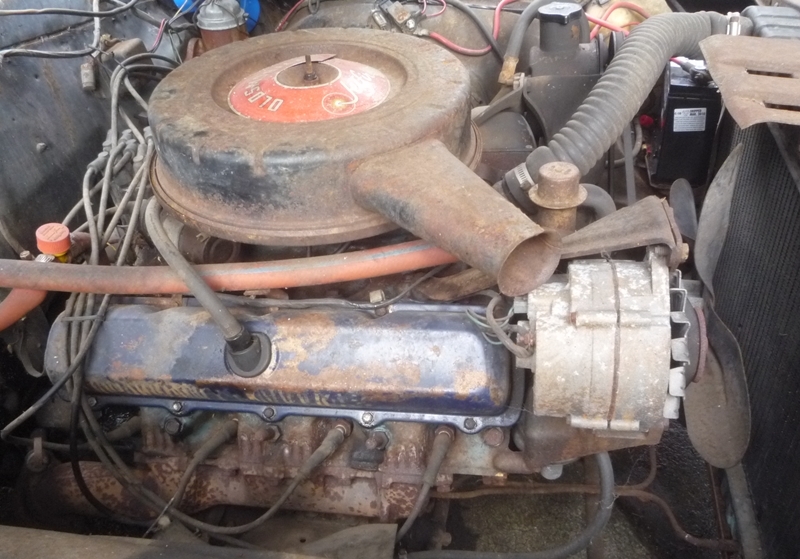 The rough-running uneven-fire unpleasant Buick V6 made 155 hp. Olds should have just bought straight sixes from Chevy from the get-go. The 330 V8 came in a 230 hp version for the F-85. Cutlass came standard with a pretty potent 290 hp version. And the 1964 442 had a 315 hp version. For 1965, the 442 got the 400 CID engine, and joined the GTO in the muscle-car race . In 1965, engines were shuffled a bit, and the Cutlass now came standard with the 315 hp former 442 engine, according to the Encyclopedia of American Cars. That’s a bit surprising to me. Cutlass was still accentuating its performance aspect, just below the 442. 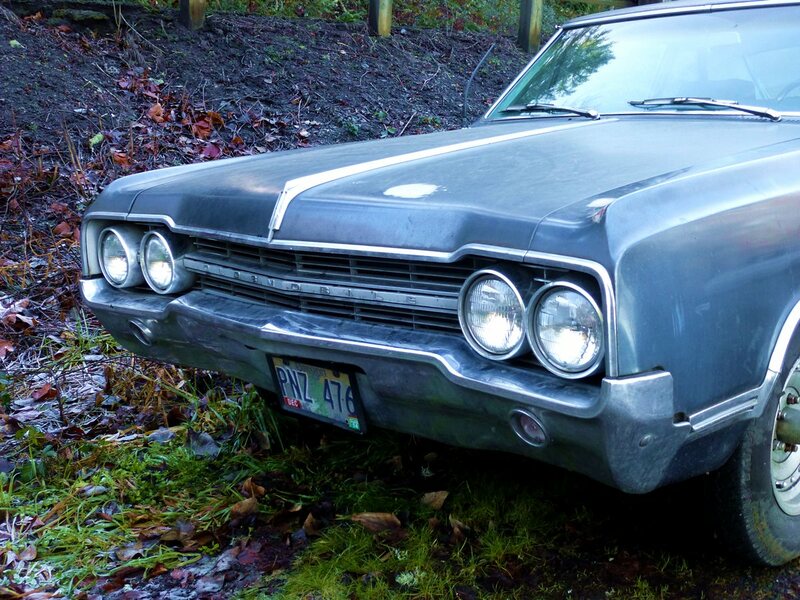 We can’t overlook the distinctive Vista Cruiser wagon (’65 above) either. This greyhound-bus inspired bubble-top wagon sat on a longer 120″ wheelbase, in contrast to the regular F-85/Cutlass wagons. The extended wheelbase length was all in the rear, and allowed for the fold-up third seat to face forwards, something that hadn’t been seen since American cars became low after 1957. The Vista Cruiser’s approach was similar to the extended wheelbase Peugeot wagons, and from 1965 through 1970, it filled the role as the biggest Olds wagon, as there was no B-Body version. Actually there were no Buick or Olds B-Body Wagons after 1964. The long wheelbase Vista Cruiser and Buick Sportswagon were seen as replacements (given, except for width they are about as big as a Impala or Pontiac Safari Wagon…). Buick brought back a B Body Estate before Olds for the 1970 Model Year, Olds the gargantuan Custom Cruiser the next year. Yes, that 7 should have been a 5. Thanks. Dear PAUL, owner Olds 64 am here in Brazil, I am the second owner and the car has 88,000 miles. My whole family loves this car and it’s always a party when we left for sightseeing. I get the layout if you want more pictures. Umberto, What a beautiful ’64 Cutlass. Congratulations. what determined the difference from a framed door window and center post to the all open hard top style. was that f 85 to cutlass or something else? 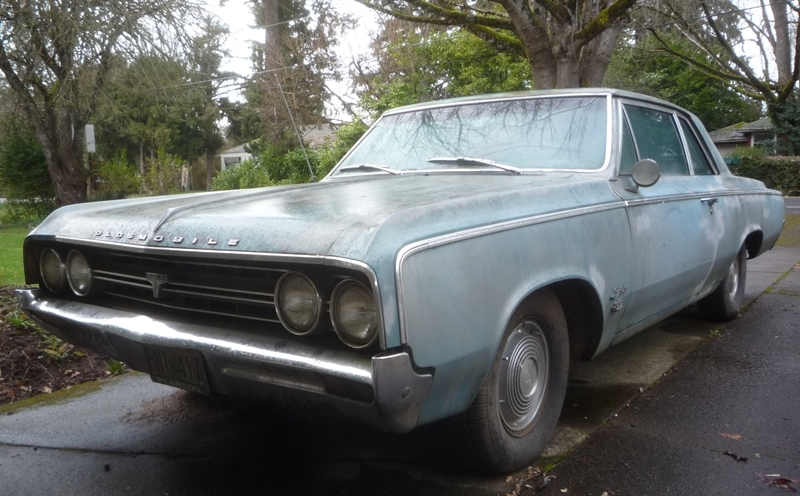 That ’65 Vista Cruise is a right looker — i like it’s more svelte qualities. That ’70 VC is also beautiful in it’s bloated glory. Reminds me of the glorious Duece and a Quarter! That blue wagon sure is a beauty! It looks like it is ready for a trip to the Grand Canyon with a litter of brats. I am a HUGE VC fan and they were actually different from the B pillar back- the rear doors weren’t interchangeable from Cutlass/F85 to VC. What I love is that the third row faced forward and was of the “theater-style” seating position, sitting higher than the front rows. This made it easier to peer through that glass roof, unless it was too sunny then you could flip down a pair of massive rear sunvisors. And behind that was a huge underfloor storage area since the spare tire was in the fender well. LOVE those cars! Eric Foreman – Oh, Laurie, I remembered I can’t loan you the Vista Cruiser on account of I hate you. A quote for all you “That 70s Show” fans out there. 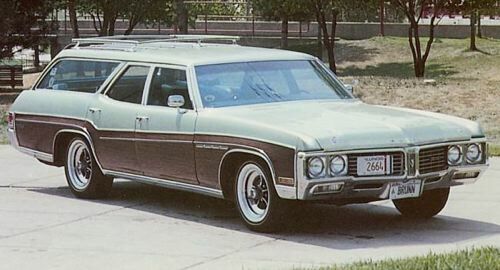 The Vista Cruiser is the king of all wagons. EDan, While I respect your broad knowledge and ever entertaining posts, I think the Country Squire may give you a run for the king of all wagons crown. Perhaps a CC on the woody and subsequent applique (sp?) versions is in order. That sounds like an argument for the ages. Do you go for sheer size? Do you go for uniqueness like the vista roof (although Buick has something “sort-of” similar in the last of the Roadmaster Wagons), do you go for sheer toughness, which the GM B-body wagons are hard to beat, (http://www.youtube.com/watch?v=UI8_jiITKiA&playnext=1&list=PLAD1AEC62F6585048), do you go for handling, which would likely be won by an old 1960s or 70s Chrysler with the torsion bar suspension, or do you go for luxury? Wow, the VC is almost exactly like the one the nuns had at our church and school. I remember going on field trips in that car. Particularly sitting in the back seat, just under the roof windows and watching the clouds and the overhead wires passing by. Rain was even more fascinating. We leased a Malibu Maxx for a while, it had two sunroofs, one in front and one over the back seats.The car reminded me somewhat of the VC, although nowhere near as airy as the VC I remember. These are very handsome cars. This excellent article finally gives them their due. I always thought that the 1965 models were nicely sized and styled. 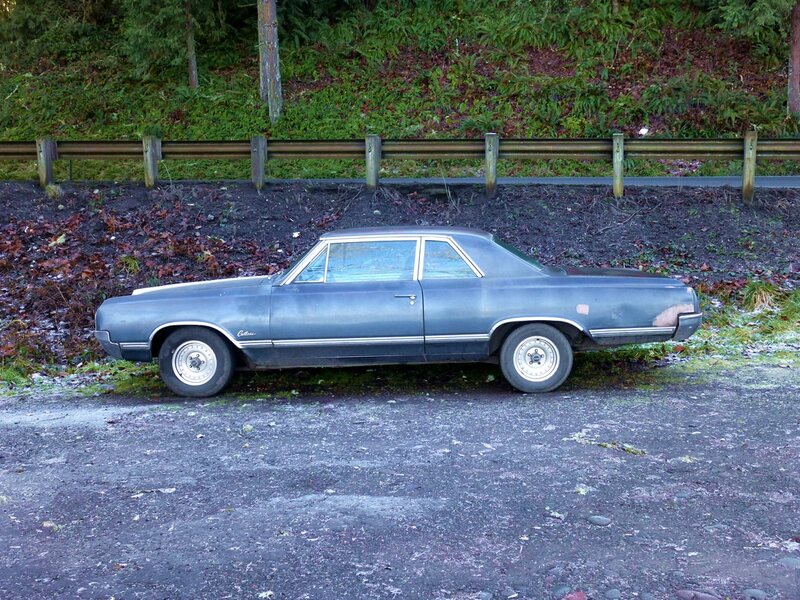 With the 1966 model year, it seemed as though all of the GM intermediates began escalating in size. The 1965 Cutlass is very handsome, with a nice family resemblance to the full-size Starfire of that year. In the early 1980s one of the football stars at the local university had a 1965 Cutlass hardtop in very good condition…which he then drove into the ground. Very sad. 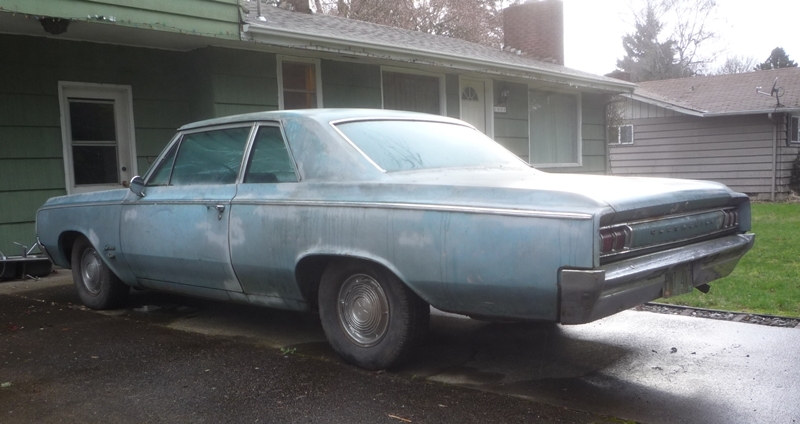 One question – I thought that the Fairlane sold pretty well in its first years as an intermediate. Weren’t annual sales on the order of 250-300,000 for 1962-63, which was far above any of the Buick, Olds and Pontiac “senior compacts” from those years? 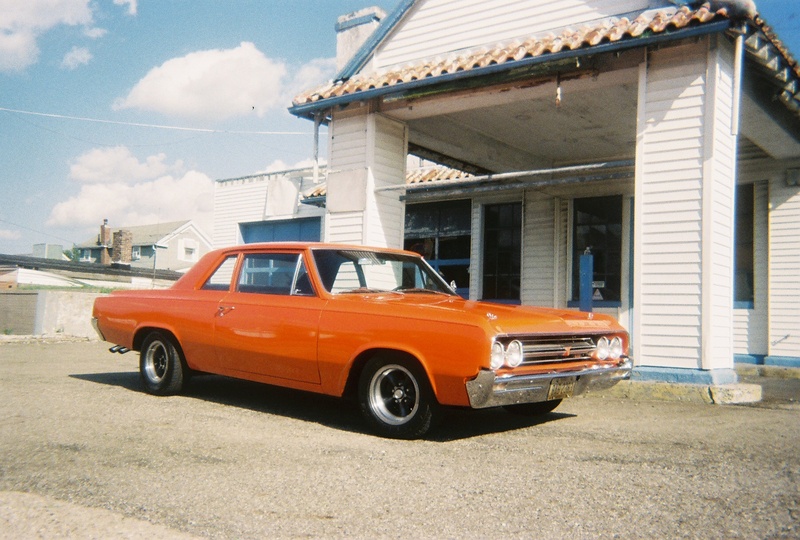 Of course, once the 1964 Chevelle/Malibu debuted, it promptly outsold its Ford competitor. If I recall correctly, after 1964, the top-selling intermediates were the Chevelle/Malibu and Tempest/LeMans/GTO, followed by the Fairlane. The 1965 Fairlane was a dud, but Ford did come back with the completely restyled 1966 model. Ford’s big problem in the mid-1960s was that it never really offered an effective “image builder” for the Fairlane on the order of the GTO, 442 or Malibu SS. Even Chrysler began offering the production Hemi in the 1966 Dodge and Plymouth intermediates, which was a great “sleeper” package. Ford was winning races left and right, but had nothing for the street. After stumbling in the early 1960s, GM simply walked away with the intermediate market that Ford and AMC had created. Yes, I didn’t quite say that right, and I need to fix that. The Fairlane did sell quite well in its first few years, but the GM A-Bodies totally stole its thunder from ’64 on. Ford wasn’t able to maintain the momentum that they did with the Falcon and Mustang. Thanks for pointing that out. In late summer of 1964, my parents traded in the maroon 61 F-85 wagon on a new 64 Cutlass 2 door hardtop. Solid dark green, so dark that it often looked black. Dark green vinyl bucket seats, console and floor shifter for the 2 speed Jetaway automatic. Also, I remember the useless tachometer at the front of the console where the driver could barely see it. The only major options it lacked were power windows and air conditioning, both of which were still pretty rare in 1964, particularly in this size car. The Cutlass was one of the best cars anybody in our family ever had. My mother kept the car until 1972. In those days, 8 years was an eternity to own a car. Unlike the 61, this Cutlass never let us down. This car started so easily that the factory battery lasted 7 years. 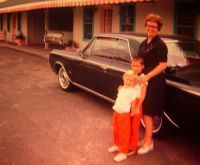 This car took us everywhere, including a 1965 trip from Indiana to California and back, mostly along Route 66. I had known that the Cutlass was strong, but had not known that it was rated at 290 HP. That was a lot in a fairly lightweight car at that time. I remember that Mom smoked an unsuspecting teenager in a Chevelle from a stoplight one time, and we kids in the car got quite a kick out of it. The 64-65 Cutlass should go down in history as one of the most rust-resistant cars of the 60s. Final thought: To my eyes, the 64 Cutlass was better looking than the 65. The 64 was cleaner from every angle, particularly the back. The F-85 in the pictures does not do justice to the design. 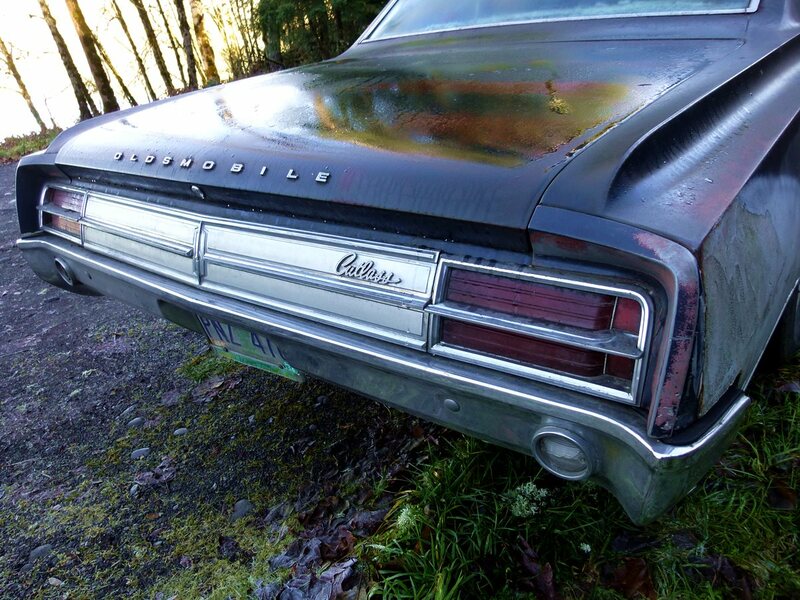 The rear of the Cutlass put brightwork across the back panel divided into 10 segments, each containing one of the letters for O L D S M O B I L E. I never liked the rear treatment of the 65 nearly as well. Our family was an F-85/Cutlass family from the beginning. Everyone jumped on the bandwagon later in the 60s and 70s, but it is hard to imagine that any of them got a car as good as our 64. When my mom got the new 72 Cutlass, she sold the 64 (with 60K miles on it) to my cousins for $200. I think that they got another good 4 or 5 years out of it. To me, the 64 Cutlass was the entire package – style, quality and performance. To me, this car represents GM at its peak. 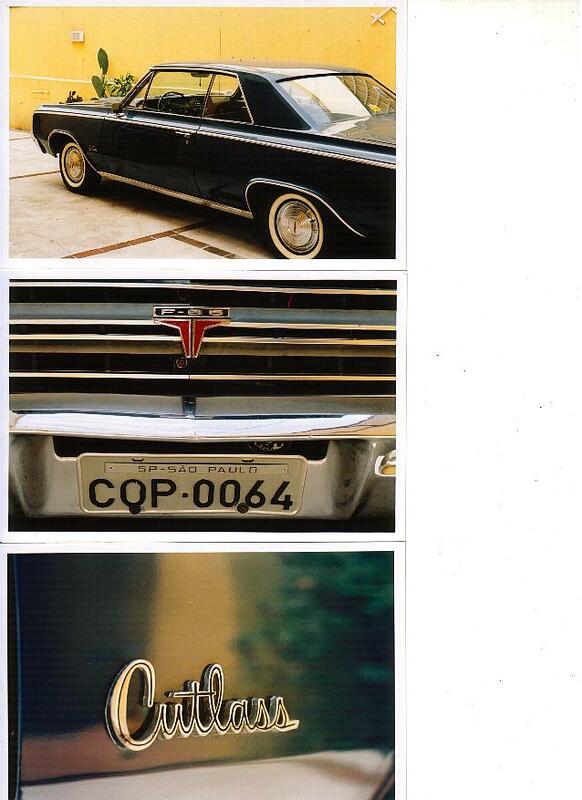 Dear friend you can remember some of his childhood car, I am owner of Olds 64 here in Brazil, I am the second owner and the car has 88,000 miles. A beautiful car you have there, Umberto! Yes, it is so very close to the one I grew up with. It is hard to tell the color from the pictures. Is yours black or dark green. Ours was the green that was so dark it looked black in all but daylight. Thanks for sharing it. I love Oldsmobiles! My Dad purchased new (Scripture Oldsmobile in San Rafael) the ‘huge’ 1971 Custom Cruiser Wagon. 127″ wheelbase – clamshell tailgate (window was power; tailgate lower portion was not – after window went up into the roof, the tailgate portion dropped down and you pushed it all the way down) – 455 4bbl Rocket V-8; three seater with five speakers but oddly only an AM radio. I drove that car occasionally in my high school years. Kick in the secondaries and watch the gas gauge flutter. Run the a/c around town and you’d get 7 mpg. I also had a pristing ’86 Cutlass Cruiser Sedan (Oshawa built) – little old ladies car delivered new to Pacific Olds in Aiea, Hawaii and I bought it in ’96 – put Flowmasters on it, rebuilt the A/C and in ’97 shipped it to Oakland and drove it cross country to Virginia and back up to Cleveland where I sold it at a profit to a retired Ford foundryman. Good to see you in print Paul – you’re a gearhead/vintage car afficianado after my own heart! Best car blog in Cyberspace! Aloha! BTW – cyber fans – my avatar is my 1974 Ford Courier (Mazda built) truck I had from October 1976 to September 1980. Sold it in Honolulu and used the proceeds towards my very first brand-new car, a 1980 Toyota Tercel. That Courier started to disintegrate in the Hawaiian salt air and is now probably a Sanyo refrigerator in Manila. Lots of Couriers and Mazda PUs still at work here; a CC on them is coming, eventually. Would look forward to the Couriers and B1600-1800 Mazdas! Four wheel drum brakes, four-speeds winding out 3500 rpm at 70mph! That’s performance! Many a blogger to this site and TTAC is right – it’s more fun driving a slow car (or truck) fast!! Ironically, 34 years after the Courier I have another small Ford truck (2010 Ranger – standard cab, 2.3L Four, 5-speed automatic. XLT). It goes to the Ford dealer tomorrow morning for a fuel line recall job. My parents bought a 64 Cutlass convertible in 1966. Coming from a 62 Plymouth stripper (6 cyl, manual, rubber floor mats) it was quite a step up. I remember they test drove a 65 Lemans, and a 64 Rivera (which would many years later become the first car I owned) before they bought the Cutlass. My dad raced a Cadillac on the interstate and he couldn’t pass us. 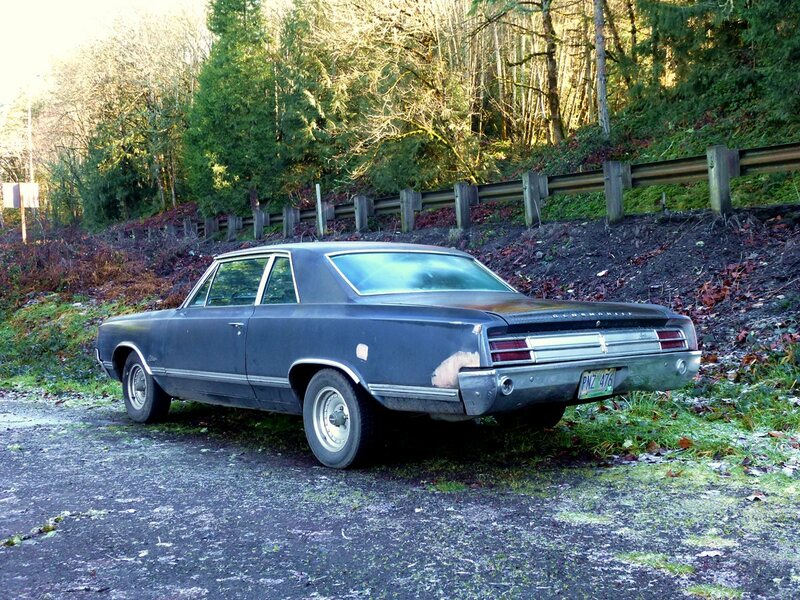 I think we had it for 2 years and then they traded for a 67 Toronado. I loved both of those cars. 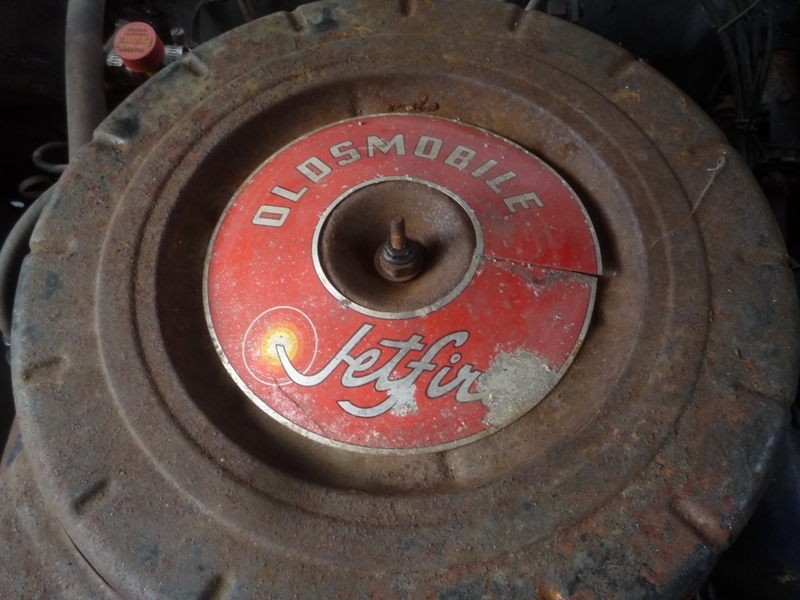 Dad was an Oldsmobile man during the 60’s. Came home from the hospital in this one…. 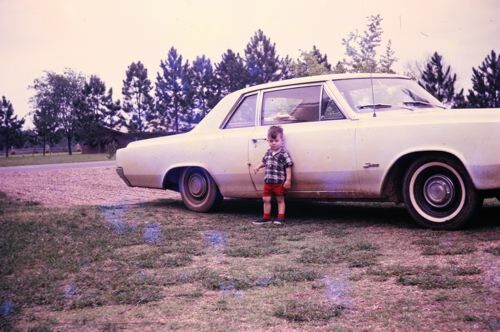 This is my 64 F-85, bought used by my parents in 66, i came home from the hospital in this car after being born! Remember not all cutlass’ are F-85s but all F-85s are cutlass’! Im partial, but i agree, the 64 is much cleaner than the 65-67 cars that appear tarted up. Mine currently has a 455 cid engine, 5-speed manual transmission and is a blast to drive. Great article! Grew up with (in) a 65 Sportwagon, but always liked the Oldsmobiles better. Bigger was always better engine-wise, and 330 cubic inches was certainly more than 300. Since this first went up, I scanned in an old slide that showed at least part of our 64. This was taken on the day we set out on our trip to California in 1965. You can see the cooling mesh seat cushions on the front buckets that my mother was never without in that non a/c car in the summer. Another, though a really bad scan. That car was a great fit for Mom! She sounded like and looked like a hoot :). Those pics are priceless! These personal reminiscences and photos are what make CC such a great site and fount of information about cars – thanks JPC. My high school employer (in IN) had a new 64 F-85 Cutlass sedan in a dark greenish-blue color (perhaps the same as it also often looked black). He and his young wife drove that thing into the ground in three years. I don’t think it was a bad car though they had a lot of trouble with it – they just outdrove its engine and suspension, speeding, taking curves beyond the car’s capacity, stomping on the brakes, and basically abusing the car. It got traded in three years for a new Grand Prix that seemed to be better able to stand up to rough treatment – also they had two young children at that point and tempered their driving a little bit (though they both had lead feet). I completely agree with your original comments about the styling of the 64 being purer than the 65. Very good looking cars. I still find it difficult to believe that Oldsmobile and Pontiac are gone. Good times. I recognize that young person! And with no less than two toy cars in his hands…. Including the world’s only 59 Buick convertible ambulance! I wondered what the heck that was – turned the screen to try and figure it out. Now I know why I would not have solved the mystery. I’m guessing it’s a tin toy from Japan? Though the makers could be quite accurate in their details, they also sometimes came up with some very odd combinations of models. The other one looks like a precariously held promo? I remember the stamped tin Buick but cannot for the life of me ID the other one. It does indeed look like a promo of some kind. I remember a lot of toy cars but this one has me stumped. Love the turquoise though. I remember these well. My freinds and I were seniors in high school, and would drool over these after school at the local Olds Buick dealership. (small town) The dealer was very nice to us and smart to realize we were future customers in a few years. Even shorter for the used car lot. I think they were great, and they are still very desirable to old car fans today. Ah…the krap-can interior shot: I just don’t understand how anybody can live like that! Is it really so hard to occasionally vacuum a car’s interior…or to take out the trash? Disgusting! Cool article. Too bad the subject car doesn’t have better paint. I don’t think I’ve ever see or heard of an Oldsmobile in police service. Including unmarked or detective cars. I had an Olds Police car model as a kid in the 60s.It was a 4 door sedan very similar to the feature car. I never have either, but from past discussion here, most of the middle price makes offered police packages up until the late ’70s or early ’80s. They apparently had some popularity among state highway patrols, some of whom wanted larger sedans than what the lower-priced makes offered, and even had minimum wheelbase requirements that (at least back in the ’60s) would have excluded anything from Chevrolet, Ford or Plymouth. California Highway Patrol used Oldsmobiles in 1967. Apparently there was a policy dictate from then-governor Reagan that state agencies had to award contracts to someone other than the usual supplier at least one year in five, so Olds in ’67 and Mercury in 1970 broke their long string of Dodges. 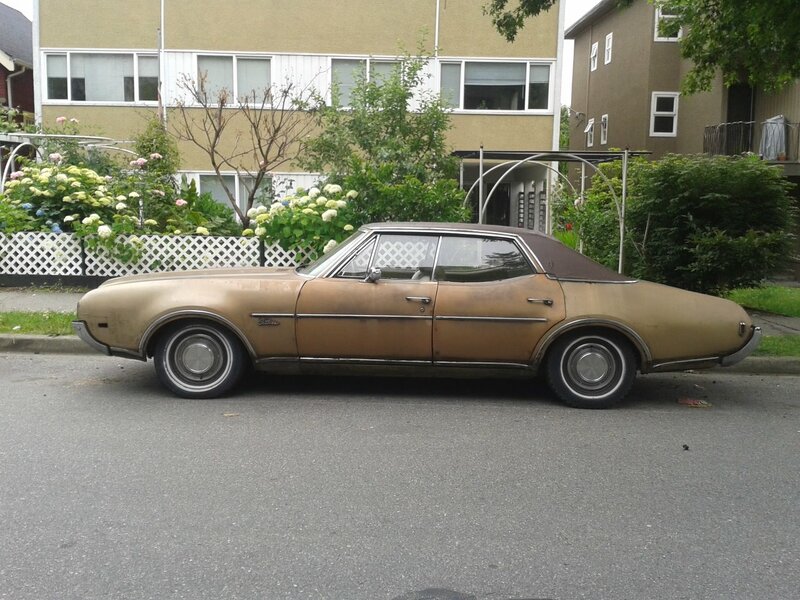 I ran across this heavily-patinaed ’69 4-door hardtop in the neighbourhood last week – a few more pics @ Cohort. Making this a hardtop cancels many of this cars sins. Cool car. My father bought a ’65 F85 wagon with the 330 after an accident in our ’63 Rambler wagon…he bought it at Val Preda’s in South Burlington (on Shelburne Rd). 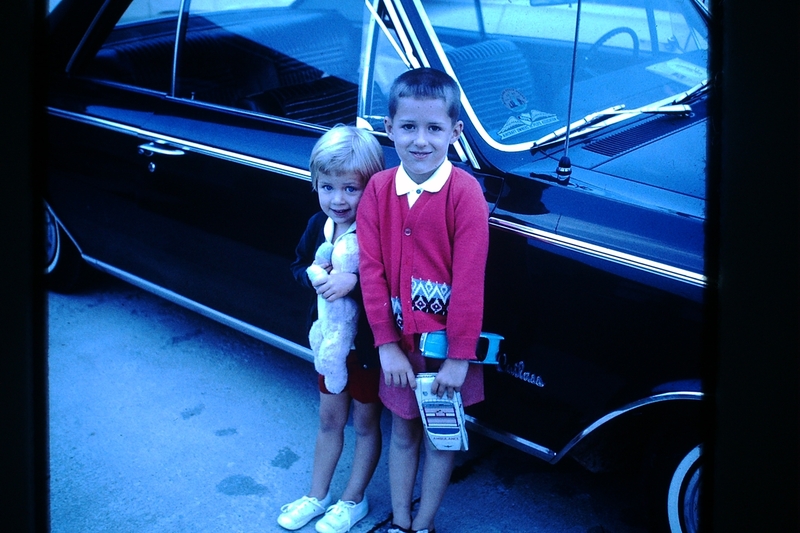 Back then we were still a 1 car family (well, for a little while longer)…my mother had the car nights and weekends when my Father wasn’t working. I remember walking to the supermarket and to school (2 x/day since we went home for lunch)…It was about a mile each way, so we got our exercise (later on I’d ride my bicycle, but it took a couple years until I got old enough. He bought a ’59 Beetle about a year later, the first (second) car in our family. I remember sitting in the F85 while my parents went shopping (pretty often)…I don’t think parents thought much about it back then, but without a babysitter, we were expected to mind ourself while they were in the store (guess it was less hassle than dragging us into the store)…the F85 had numerous details we’d amuse ourself with, besides the push buttons on the radio (always fun) and learning “Do you know the way to San Jose” from my sister. The big draw was the ashtray which rotated 180 degrees into the dash (no smoker’s package on this one, each one came with prominent ashtray front and center in the dash. And our neighbor kid who drew on the rear inside tailgate with permanent black magic marker. We spent lots of hours inside the F85…it was traded in on a ’69 Ford Country Squire 4 years later, but seems like I did lots of time in the F85 with the “barbell” front grill. Still a car dealership at that location – Shearer ended up with all the GM brands plus VW/Audi and Acura and moved VW to the old Val Preda store when Pontiac was killed off. (Apparently they had to sue the General to have “all of GM under one roof” at their Chevrolet location). Currently they’re remodeling the VW showroom. The 2 door sedan is quite homely compared to the hardtop. JPC’s ’64 hardtop is a looker and the slab sides and roofline channel quite a bit of ’63 Grand Prix. I have decided that the 64 Cutlass’ appeal is highly dependent on color and trim level. The high trim hardtop was sharp indeed. Those optional wheelcovers on our car (and on the white hardtop that Laurence Jones found) make a huge difference. It’s nice to see some traffic on a post from about the time I had to take a break from this neighborhood. I’ve always enjoyed the learning process of the big three brands. The Olds sorry is pretty neat from this period. VISTA CRUIER! 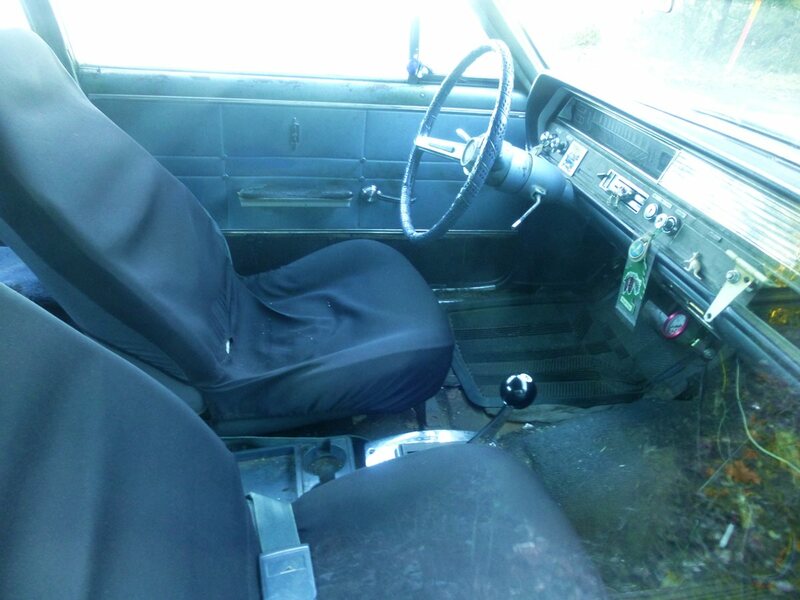 My very first ride in a car was also in a 1964 Cutlass F-85 2 door hardtop. As to cross- divisional use of motors, I think some mid-Fifties GMC trucks were equipped with Pontiac v-eights. Like I said in the last one, I passionately hate that the Y-body cars didn’t survive and thrive… but their replacements looking so damn good certainly softens the blow. Aside from not being their predecessors, I could never find a bad word to say about any of the ’64-’67 A-bodies. The Cutlass may have gone on to greater success in the 70s, but it never looked as sophisticated as it did during those years. 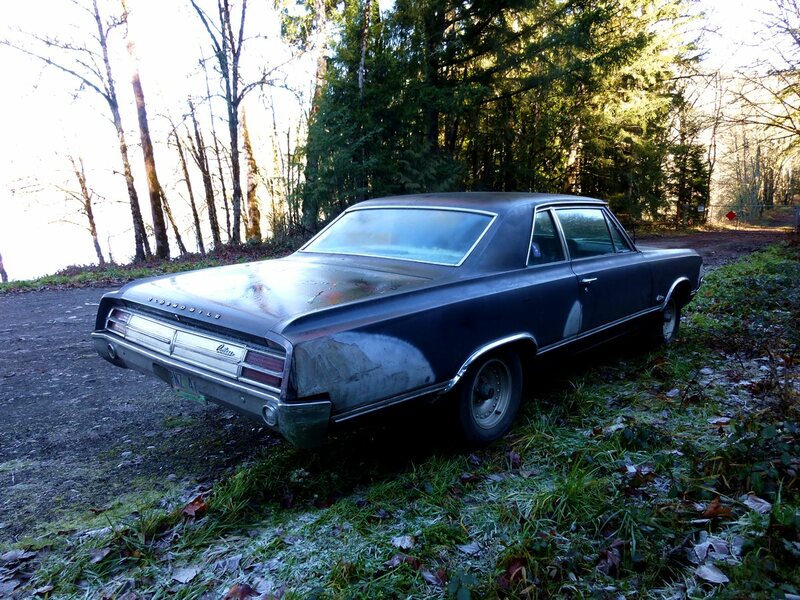 Did any post-’67 American car? I don’t think so. Early GTOs and 4-4-2s are always considered the 60s muscle car archetype, and they do have the right substance, but if you look more closely they’re so much different in style from the over-the-top creations that came later. IMy only comment on those 330-350 “small block” Olds engines was the pertetual valve and valve train problems. Unlike the Pontiac and Buick “gen2 engines of that time with the perpetual crank and rod problems. I maintained several of these at that time for friends, neighbors and relatives. All had burned or valves or bad cams by 30-50 kmiles. The problems with rocker arm assemblies followed them until the end in the late 80s. 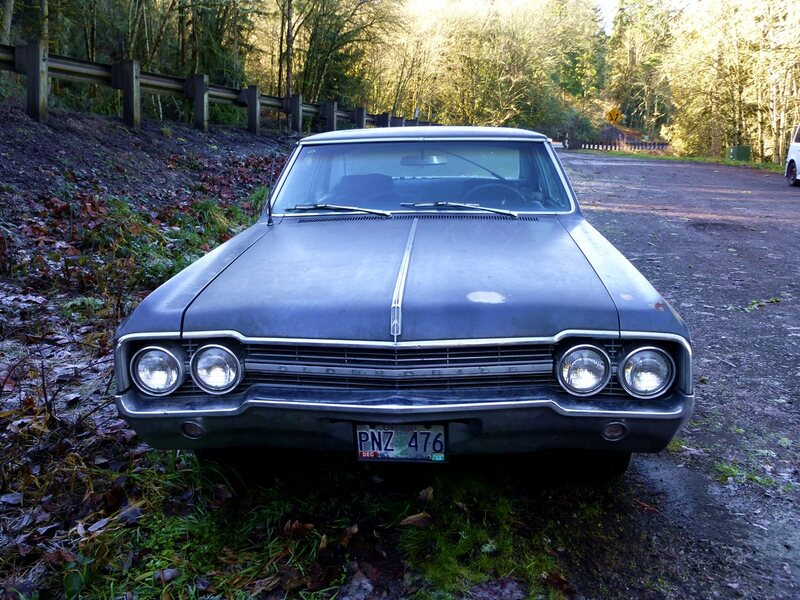 My name is Greg, and whenever I run across any website concerning Oldsmobile’s I have to put this message out in hopes someone may be able to help me find my fathers car. Traded in at Henderson Dodge, Henderson, Nevada 89015 in the summer of 1969. Henderson Dodge was on Boulder Highway, and has since went out of business. I did see the car once after it was traded in. It was approximately a year later. It was still in Las Vegas, so I’m assuming it had Nevada plates on it. The body was a misty steel blue with a white hard top. It had the optional complete chrome package including wire spoke hubcaps with the knock off caps in the center. 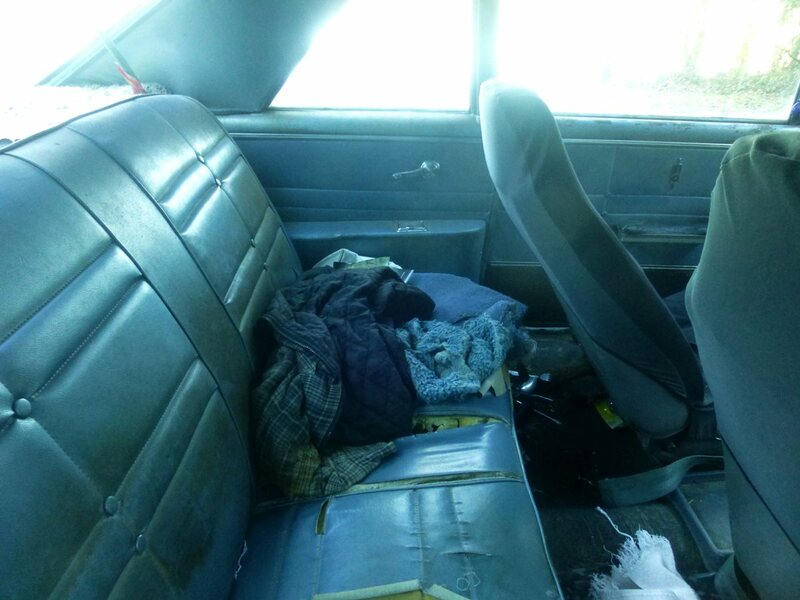 The interior was also misty blue with bucket seats, and the shift and tac., on the floorboard. If anyone can help me find my dad’s car, I would be forever grateful. I’ve been looking for it for decades. My parents are long gone, but my sister, and I would love to have it back in the family.